Today is a shopping day! I’m off later this morning to my Coquitlam store to see whats new. Keeping my fingers crossed for some Lux hoodies, swift fabric pants (maybe Ill try on the white Seek the Peek crops), running pants and I want to try on the new sunblocker hooded pullover that Cheryl had mentioned on FB. I do need a tata tamer eventually but a bra is such a boring purchase that I may hold off and buy more frivolous things today. 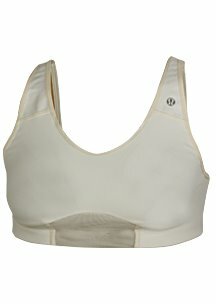 I’ve got a two year old high impact sports bra from lulu (bounce breaker) that is starting to come apart at the seems but it still works to keep these lactating girls plastered to my chest. Just a side note on lactating and sports bras, Dr. Jack Newman recommends not using high impact/high support sports bras if your prone to plugged ducts or mastitis and instead use a medium support bra but I don’t like the feeling of them bouncing around as 90% of the time I’m a bit engorged so I use a high support one and make sure to put it on right before the run and take it off right away after. Today was supposed to be a running day with hills training and not a shopping day but I have a really nasty blister on my pinkie toe from yesterdays run that I think I should lay off. I always feel guilty taking a day off running even though I know your days off are when you make your gains from your last run. Oh well, tomorrows run will be better, faster and farther. Hopefully Ill get some pictures of today’s shopping trip and there will be lots of new goodies for June. "Check out those Harem pants"
"New print in the MODERN (not cool) racerback"
One of my ooooooold Lululemon tanks had a seam that was unravelling and I brought it in to Lululemon to see if they could do anything. They restitched it for me =). I also brought in a super old whisper tank that was coming apart in the deepest point of the neckline and they redid that seam for me too =). Maybe they will mend your bounce breaker if you want to bring it in? But you'd have to part with it for 5-7 days!! Wow that's pretty impressive that they would do that. I should take it in for a repair and then maybe I can get a spare too.